The Purim Spiel will be on March 28th at 7:30pm. Purim is arguably Judaism’s silliest holiday, and this year Hopkins Hillel is organizing what is sure to be a hilarious new tradition – a Purim Spiel! This Spiel is a short, comedic acting out of the Purim story. We are seeking participants for the Purim Spiel! Whether you want to act, stage manage, design props or sound effects, create costumes, or do something else theater related, we’d love to have you as part of the team! 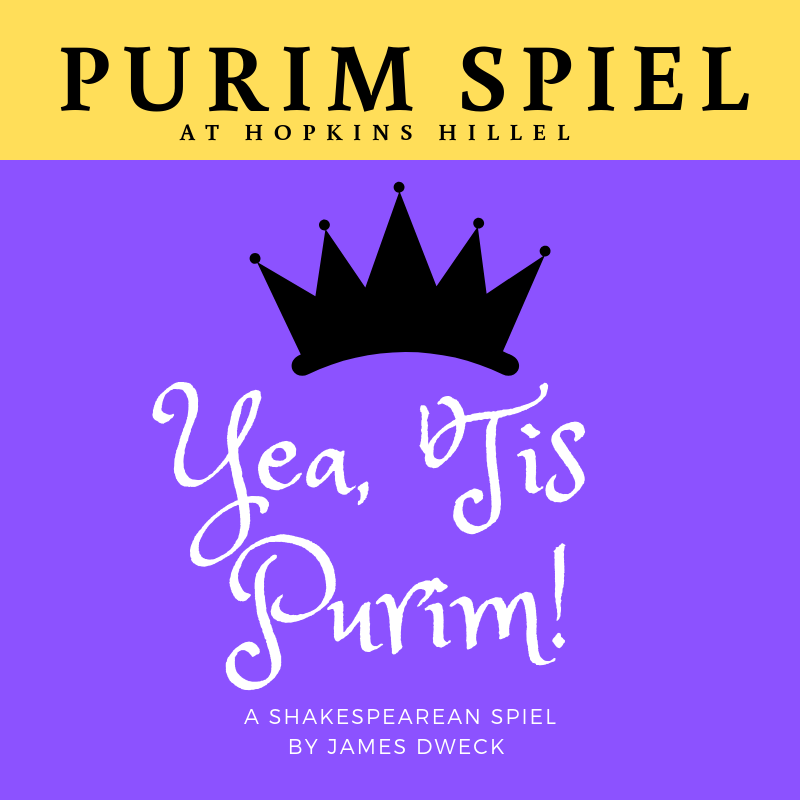 This year’s Purim Spiel, “Yea, ‘Tis Purim!” is a play in the style of Shakespeare, and was written by James Dweck. Never been involved in Hillel before? Mar 28th at 7:30pm – Purim Spiel! Click here for the interest form! Questions? Email Jeremy Costin at jcostin1@jhu.edu.